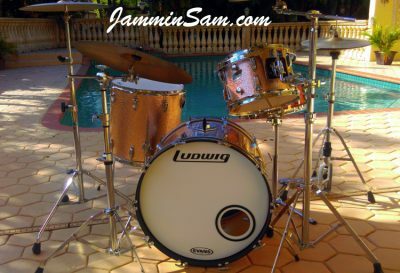 Pictures sent in (March 2016) from Doug Aronson of Pompano Beach, Florida of his Ludwig Classic drum kit. Great job Doug! Thanks for the great champagne sparkle wrap. 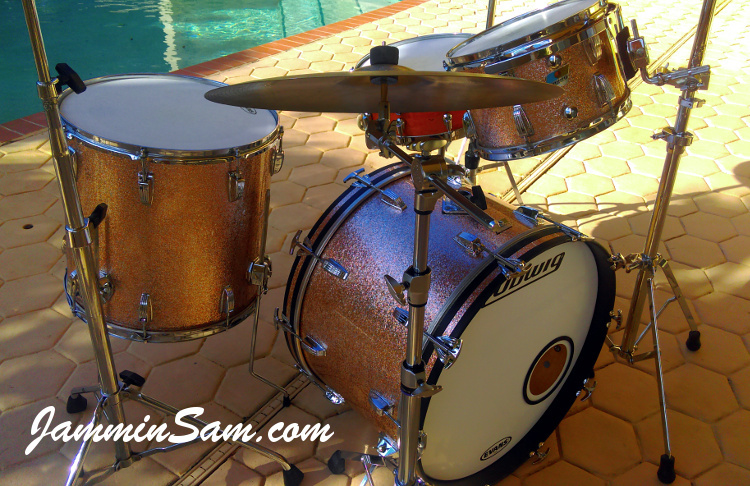 I am still playing the 1978 Ludwig Classic Maple kit I have owned since it was brand new. The original wrap was White Cortex as seen in the attached old photo. I rewrapped it around 2000 in Fire Purple just for a change of pace. Now in 2016, I rewrapped it again, this time in Champagne Sparkle. I think it looks great! Let me know if you agree.